This chapter starts by providing a categorization of current goal programming literature by type of variant used. Subsequently, goal programming is presented as a secondary model of a general p-metric distance function primary model. This orientation allows us to link goal programming with several fields like the determination of social choice functions or the interpretation and implementation of the Simonian concepts of bounded rationality and “satisficing”. To undertake the latter task, this epistemic framework is understood as a Laudian “Research Tradition” instead of the usual understanding as a scientific theory. Finally, potential future developments to expand the use and flexibility of goal programming as well as to explore possible logical connections of goal programming with other decision-making areas are highlighted. The authors would like to thanks Drs. 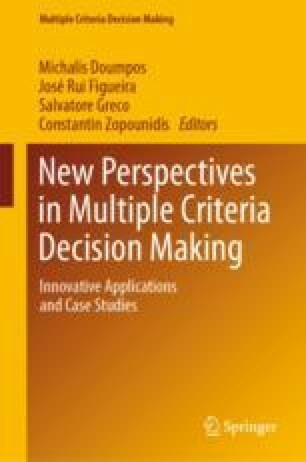 Diaz-Balteiro, González-Pachón and Tamiz and Aouni, for their intelligent reflections and continuous discussions on goal programming over many years.